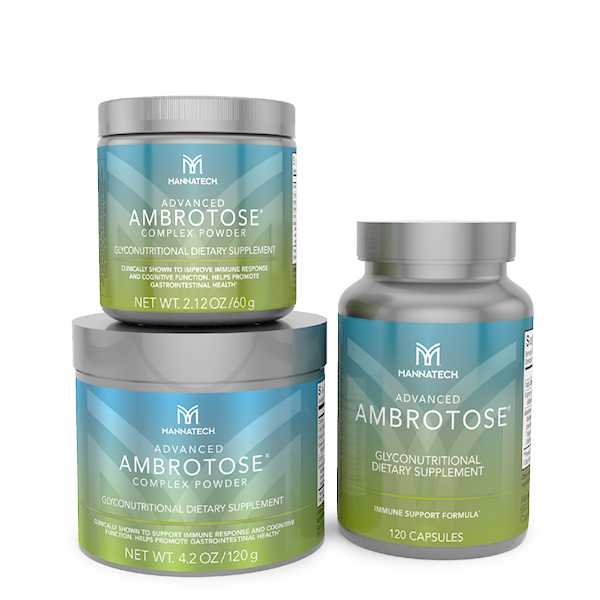 The Advanced Ambrotose-products from Mannatech are based on a advanced mix of polysacharides. This mix contains the combination of arabinogalactan and scharides from Aloë with Undaria pinnatifida which is rich with fucoidans, or wakame, a brown seaweed harvested from the clear waters of Tasmania and Patagonia. They contain more fucoidans per serving than any other Mannatech product. Research has also shown that beta-carotene -as a natural form of vitamin A- benefits the Advanced Ambrotose formula because it reinforces the immune system. Cells of the immune system have for example the task to determine whether other cells are healthy or whether they should be destroyed. When glyconutrients are missing from the celsurface, the immune system can not function properly. These glycans are attached to proteins on the cell surface and then form the so-called sugar proteins. This is also called glycoproteins. These glycoproteins are necessary for the correct functioning of the cells. We often get the question whether there are any Ambrotose side effects. For more information or ordering please contact us. Glucosamine HCl is a salt of the amino monosaccharide, glucosamine. Glucosamine is naturally found in human cartilage and in some fungi and algae 1, 2. Commercially produced glucosamine is made from shellfish or grains such as corn or wheat. Supplemental glucosamine has been used for the past 25 years in Europe 3. In the U.S., it has gained popularity as a dietary supplement. The amount of absorption of orally administered glucosamine through the intestines is somewhat unclear. The fraction not absorbed and incorporated into cartilage is excreted, mainly in urine 2. Glucosamine that is not absorbed through the intestine may be utilized by colonic bacteria 4, 5. There appears to be minimal concern for side effects indicated with glucosamine supplementation. Clinical studies have consistently reported that glucosamine appears safe 6. Beta-carotene, also called provitamin A, is a member of a group of plant-produced compounds called carotenoids, which serve as precursors to vitamin A. Beta-carotene is a potent antioxidant. The ultimate source of all vitamin A is from the carotenes, and beta-carotene has the highest vitamin A activity 2. Beta-carotene is particularly abundant in orange vegetables and fruit, and may be directly added to foods as a vitamin supplement 3. Carotenoids may either be absorbed through the intestines intact, or be cleaved to form vitamin A prior to absorption. There is no Recommended Dietary Allowance (RDA) for beta-carotene or other provitamin A carotenoids. However, dietary provitamin A carotenoids have vitamin A activity that can be expressed as retinol activity equivalents (RAEs). The RDA for RAEs is 900 µg/day for men and 700 µg/day for women 1. Beta-carotene supplementation in humans is likely safe over long periods of time. Blakeslea trispora is a fungus that can be used as a source of carotenoids, such as beta-carotene, gamma-carotene and lycopene, for dietary supplements 4,5. Rice starch is a polysaccharide obtained from rice, Oryza sativa. Worldwide, natural starch is an important source of energy. Humans and other animals have enzymes that are able to digest starch into its glucose components, so it can be easily digested. Rice starch is an approved food additive by the U.S. Food and Drug Administration (FDA) 1. Manapol powder is the highest-quality aloe ingredient on the planet. It’s a pure, 100% aloe vera gel extract, with no additives or common allergens that’s not just an important Glyconutrient, but the very Glyconutrient upon which Mannatech was built. Yes. 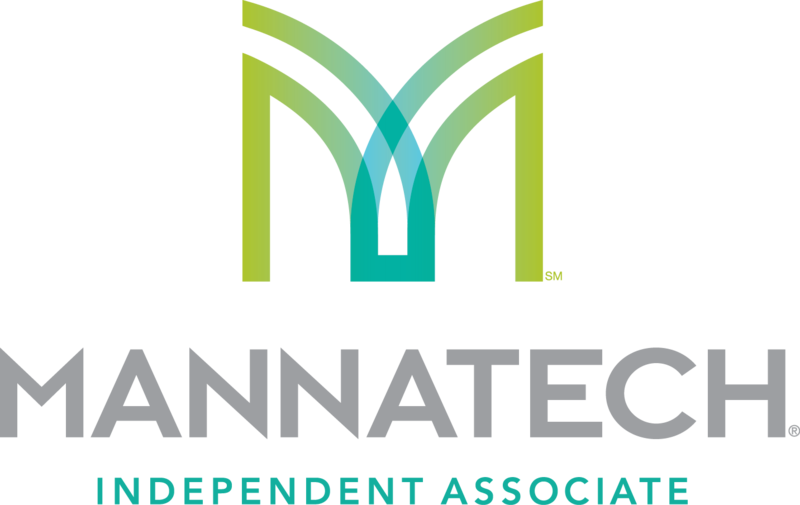 Mannatech’s Advanced Ambrotose powder contains a trace amount of iodine per serving. The US RDI (Recommended Daily Intake) for iodine for adults is 150 mcg per day. Ambrotose is the best glyconutrition product on planet earth – you will feel the difference.